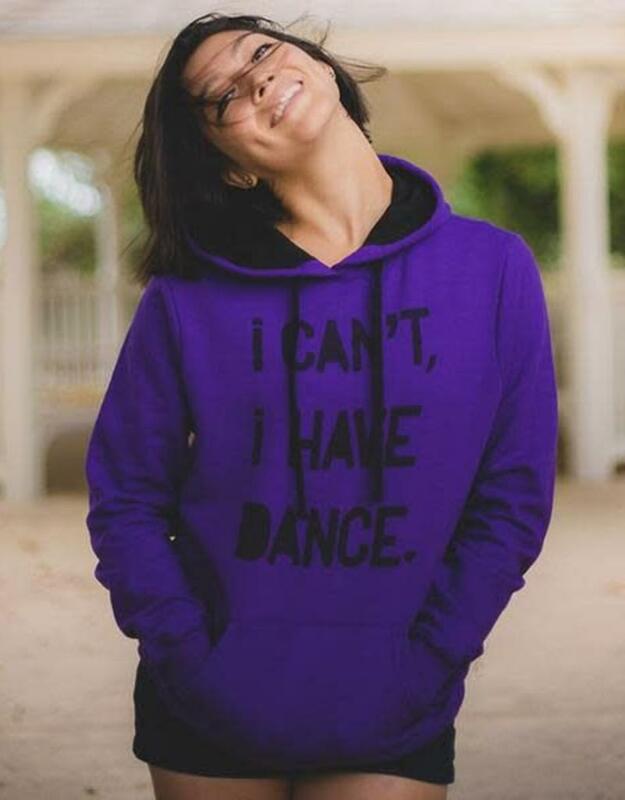 Our most popular hoodie with the phrase you say every day. Pretty purple with black detailing makes this a great warmup for wearing to school or the dance studio. CARE INSTRUCTIONS: Machine wash cold. Tumble dry low. Cool iron if necessary. Non-chlorine bleach.